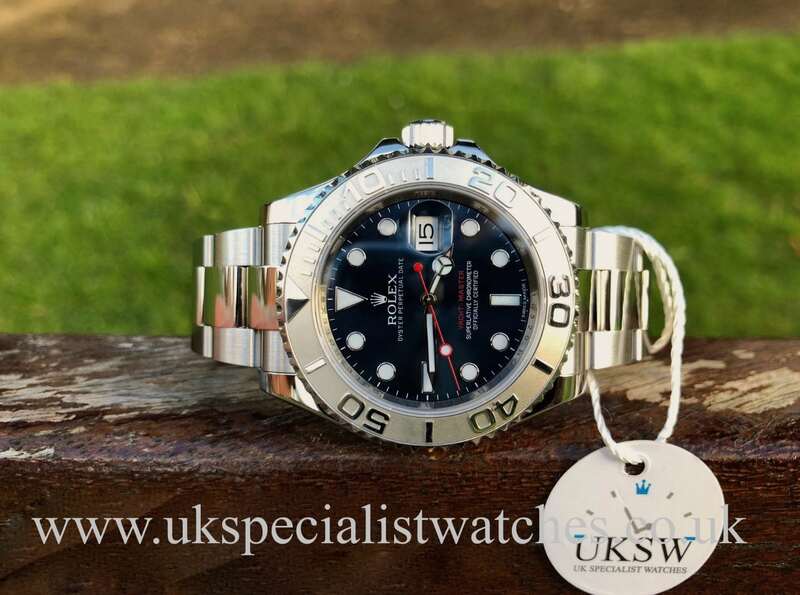 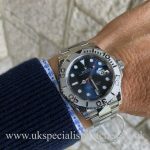 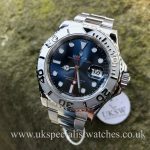 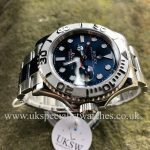 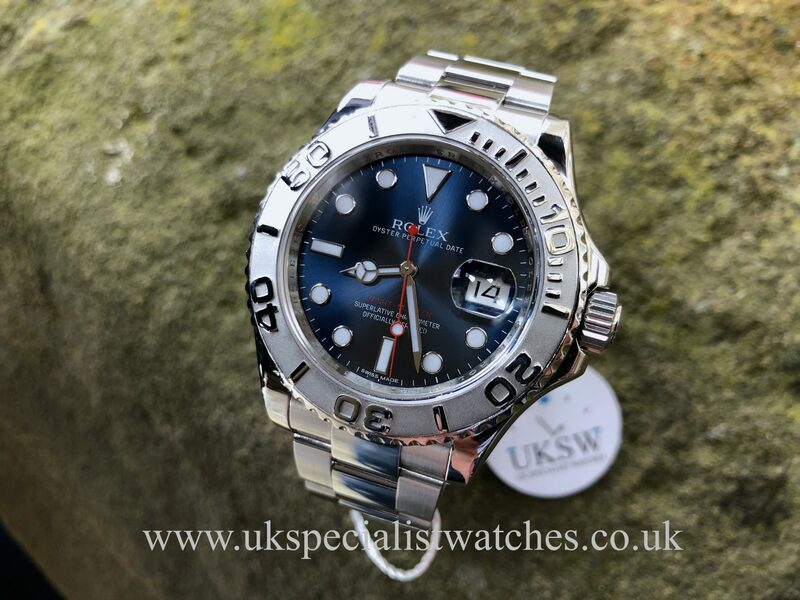 Rolex Yacht-Master 116622 with a 40mm stainless steel case, 950 platinum Rolesium rotational bezel, vivid blue dial with Chromalight hour-markers, solid 18ct white gold hands. 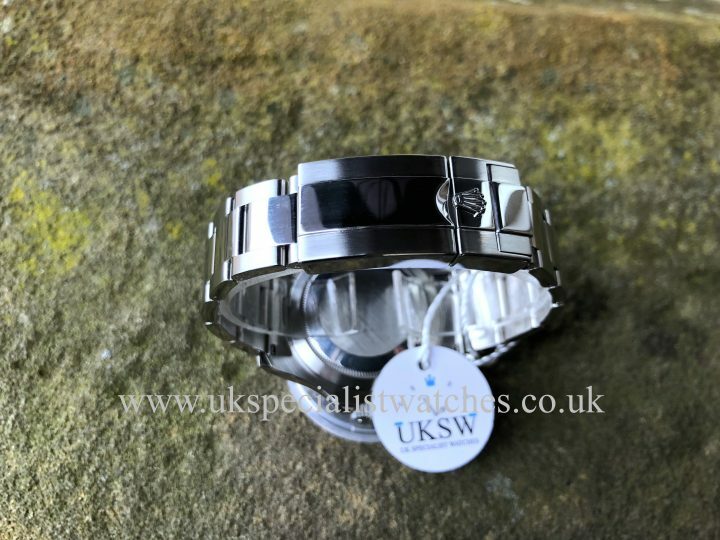 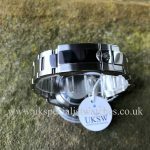 Fitted to a solid 904L stainless steel oyster bracelet with polished centre links, brushed outer links and double folding clasp. 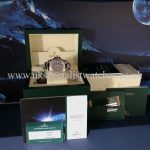 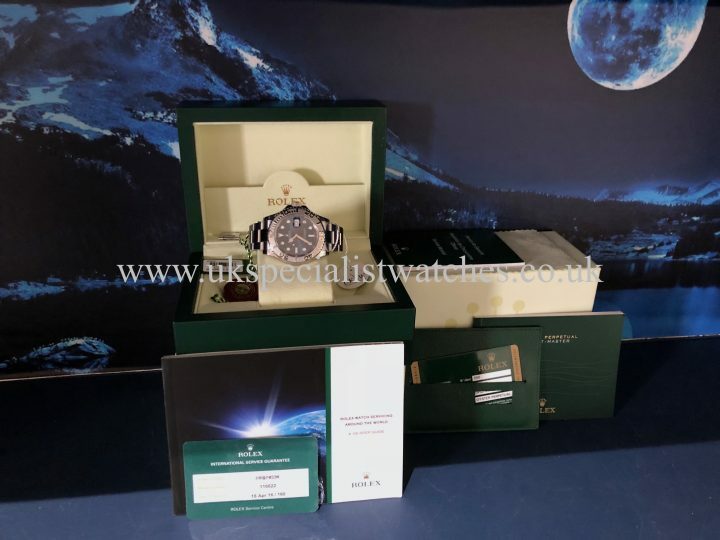 Our full set example comes complete with all boxes, stamped warranty card, both swing tags, spare link and Rolex service receipt dated April 2016. 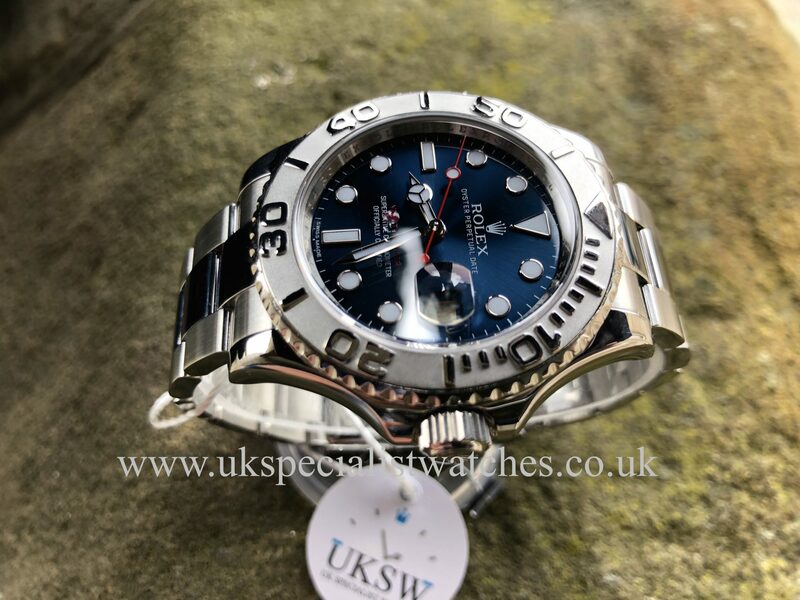 Our stunning example was supplied new in November 2013.